The iSii aqua compact is a clever irrigation system that controls the irrigation in your greenhouse or outdoor cultivation. Based on the plant’s requirement, you select the proper starting moment and the amount of watering. You can adjust this according to time or the amount of sunshine. 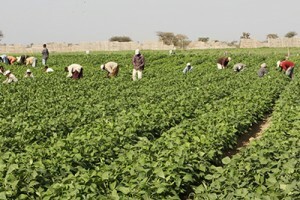 In addition, this irrigation system ensures that your crop is given an optimal dosage of fertilizers. The iSii aqua compact is a clever step toward an efficient irrigation strategy with higher cultivation yield. With this modular computer, watering in your greenhouse or outdoor cultivation can be coordinated precisely to the plants’ requirements. In this manner water, climate and nutrients are used more effectively. The iSii aqua Compact can easily be expanded with climate controls such as ventilation control. A better insight in your business process can save you up to 15 percent in labour costs. Nomad system is tailor – made and therefore suitable for companies of all sizes no matter it’s type of cultivation. The required data is entered into Nomad system wireless or cabled hand terminal. Nomad register and processes information such as Payroll administration, labour costs, labour productivity, pest and disease and stock management. The results are visualised through clear overviews, graphs and tables. The software is known to be very user – friendly and is available in almost all Western and Non – Western languages. With our mobile i4All, you can measure and register all relevant growth circumstances both above and below the ground anywhere you like. 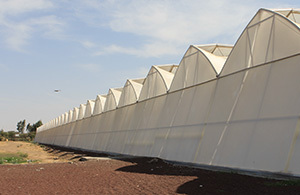 An i4All system for greenhouses also has an i4All for ” open field ” purposes. You can decide what sensors are used so the i4All is fully utilized according to your needs. Another important factor, i4All field can be supplied with a Solar panel. 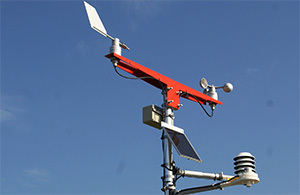 The collected data is automatically sent via GPRS to LetsGrow.com so that you can analyze your data wherever you are in the world. This way you can determined your optimal irrigation strategy and save fertilizer. Ultimate Growers conducts business activities through 4 strategic business units: Farming Technology, Crop Farming , Consulting Services and Producing of Seedlings. These units are supported by a variety of corporate functions that provide oversight from a functional perspective and coordinate company-wide governance and strategy. Ease of operation as a farmer! 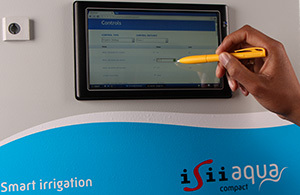 The iSii aqua compact can be operated from any computer or smart phone. You can request information about the current cultivation conditions at any desired moment. For example, you can see how much water is being given and from which taps. The operating software is easy to use and, above all, available in your own language. This allows you to use all the iSii aqua compact functionalities optimally in order to achieve higher production and quality. We farm and produce for all major retails, government institutions and international market with a unique horticulture technology and farming principles. Ultimate Growers is always in a position to advice farmers on principles of farming using the right methods and tools in order to be a successful farmer. You can count on us by contacting us and booking an appointment. Our tailor made consulting services can be offer on site at an agreed fee based on your needs. We also have the ability to make and produce our own seedlings. Starting our own seeds and our clients can be sure that our crops have been raised organically from first to last. And by sprouting and nursing our own seedlings, we do not wait for warm weather to get our hands dirty.